One and two day courses for resuscitationists in Australia. Join Chris Nickson (Life in the Fast Lane), Natalie May (St Emlyns), Cliff Reid (Resus.ME), Karel Habig (RAGE Podcast), Brian Burns (Sydney HEMS) and Geoff Healy (Sydney HEMS). Emphasis on deep discussion of Resuscitation cases with focus on optimal up to date clinical resuscitation, leadership and human factors, wellness and sustainability. Beautiful venues and time for fresh air, games, practical tips, fun, and delicious catering. 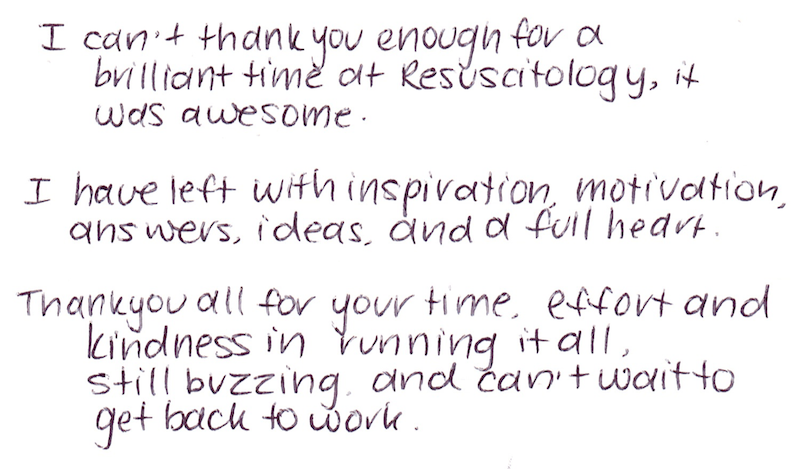 Experience the Art & Science of Resuscitation.